We couldn't help but share this report about iFishTV's Paul Worsteling catching a monster 275 kg Tuna off the coast of New Zealand. 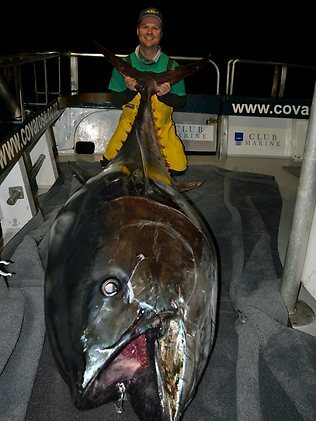 While fishing about 50km off the coast of Greymouth New Zealand, Worsteling, accompanied by scientists from the NZ fisheries department landed a huge bluefin tuna measuring 2.7m! Media reports value the fish at over $710,000 if sold in the Japanese market, but instead Worsteling and the crew enjoyed a few slices of sashimi and the rest was sent off for research or to the smoke house.